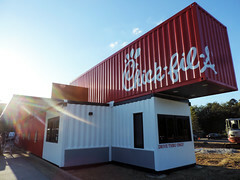 As a staple of Atlanta suburbs, Chick-fil-A isn’t blind to their massive following and passionately loyal customer base. Some of their customers have been eating at the same location for twenty years. 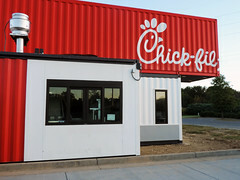 Newnan, Georgia is home to 11 Dwarf House restaurants, named for Founder Truett Cathy’s original restaurant. 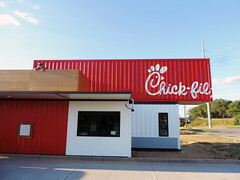 The Chick-fil-A team wanted to update their Dwarf House restaurants, but that would require shutting down each location for months at a time, leaving hungry customers to wonder when their next delicious chick sandwich might come. 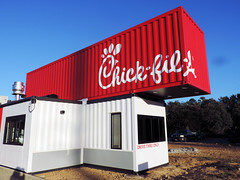 That’s why Chick-fil-A’s innovation team reached out to us; to help them develop their first mobile, container restaurant. 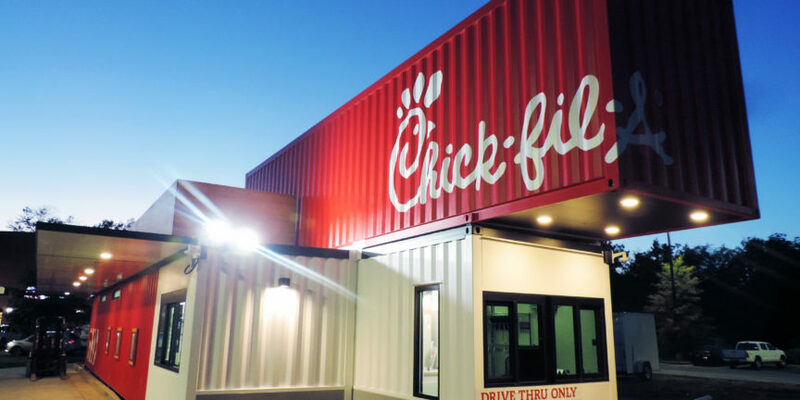 In order to serve nearly 70% of their menu out of the container structure, including waffle fries, milkshakes, and breakfast menus, we needed to provide them with a full-service restaurant kitchen. To fit in all their equipment, we purpose-built 5 containers with a larger footprint, to fit up to 24 team members at a time. 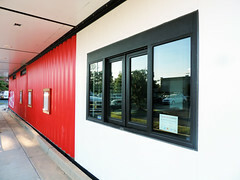 A sixth re-purposed container rests on top of the structure, acting as a billboard when activated, and extra storage during shipment. 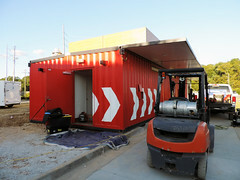 The first activation took only six days to assemble the shipping-containers restaurant. 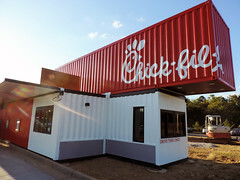 Moving forward, the drive-thru restaurant will take only two days to install at new locations. 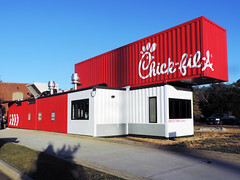 Chick-fil-A’s innovation team couldn’t be happier with the look and functionality of their new restaurant! 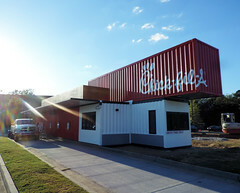 And, because the chain was able to stay open during renovations, they retained 100 team member jobs! 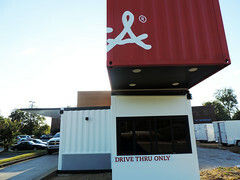 Check back for new photos and videos of their shipping container restaurant as it travels around Georgia!